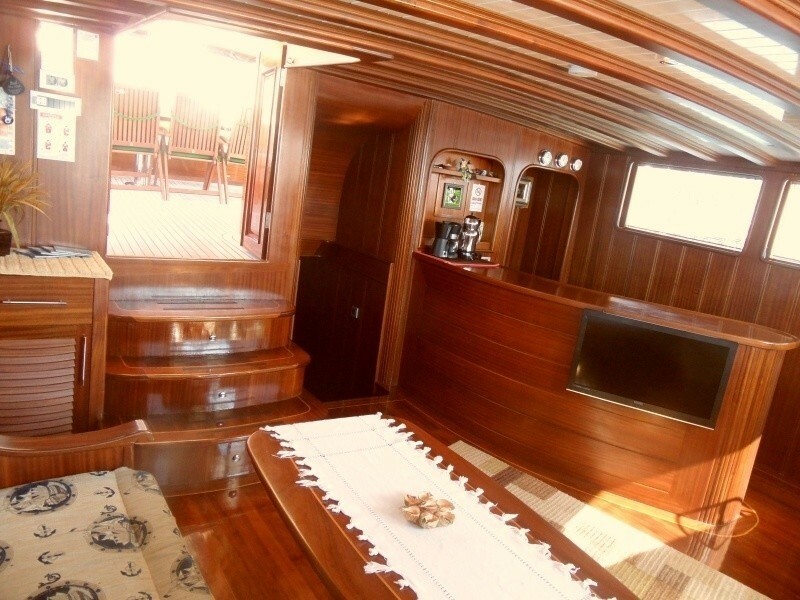 Below decks BILIZ has a warm mahogany interior. 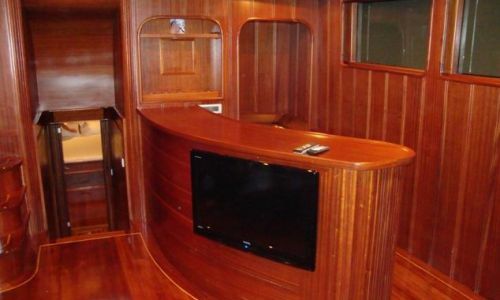 The salon is raised allowing for ample natural light, guests may choose to relax in the comfortable lounge whilst watching the flat screen TV, or enjoy an evening aperitif from the wet bar. 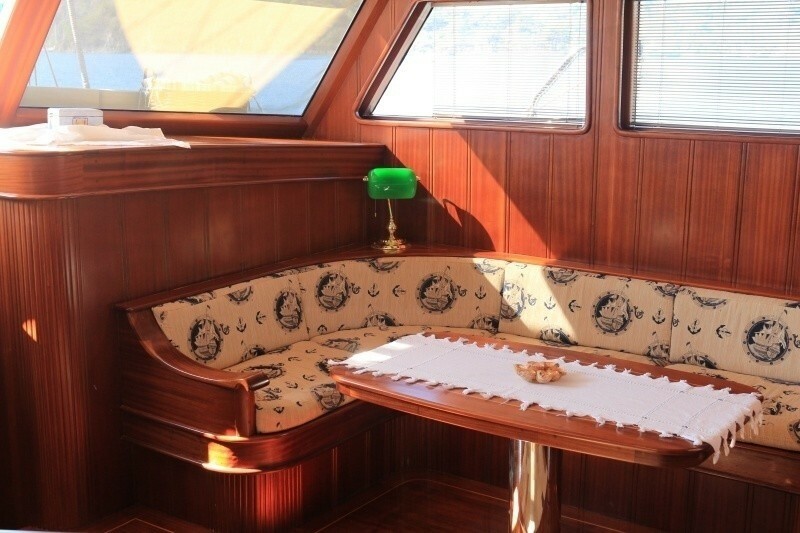 Formal dining on the yacht BILIZ is under a Bimini on the expansive aft deck. 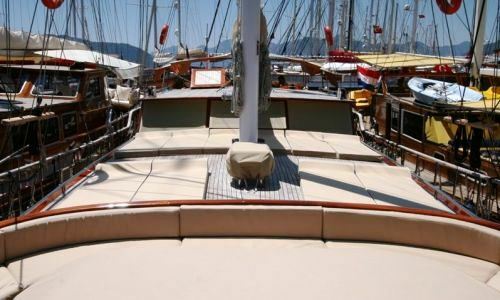 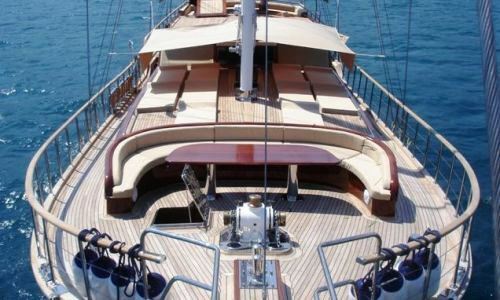 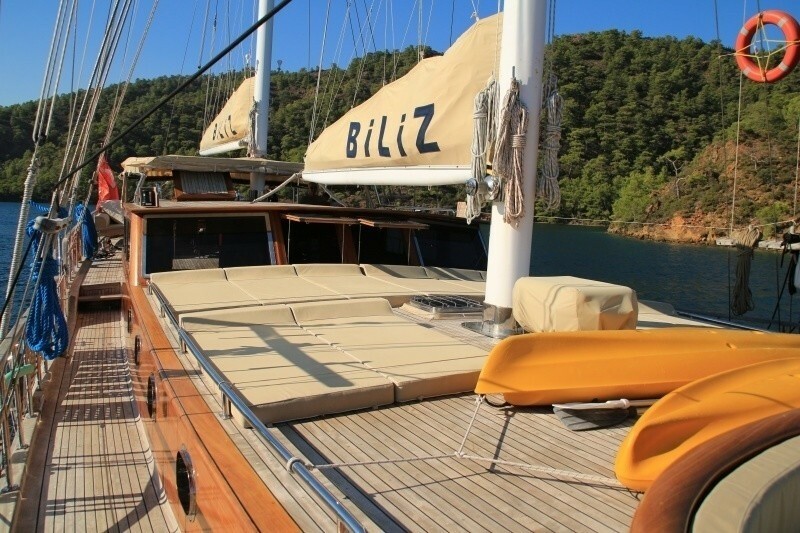 Charter yacht BILIZ boasts fabulous exterior living on her ample teak decks. 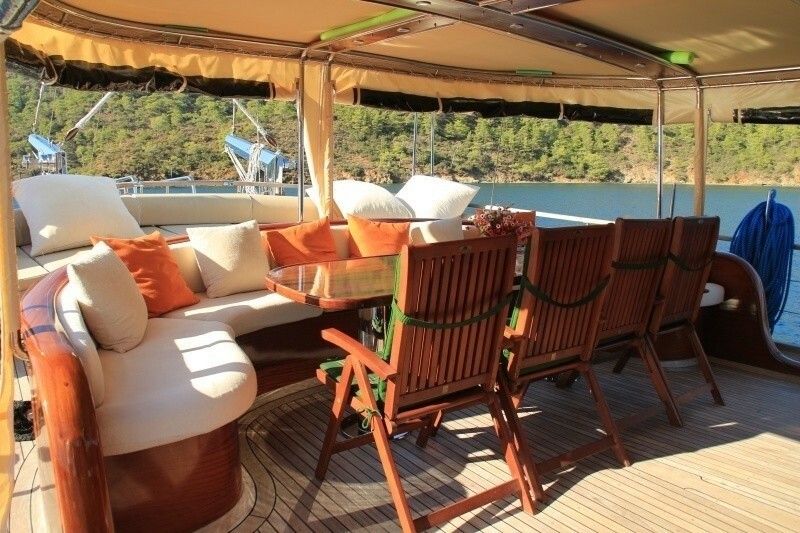 The aft deck is shaded with an alfresco dining option, plenty of seating a massive full beam aft sunpad. 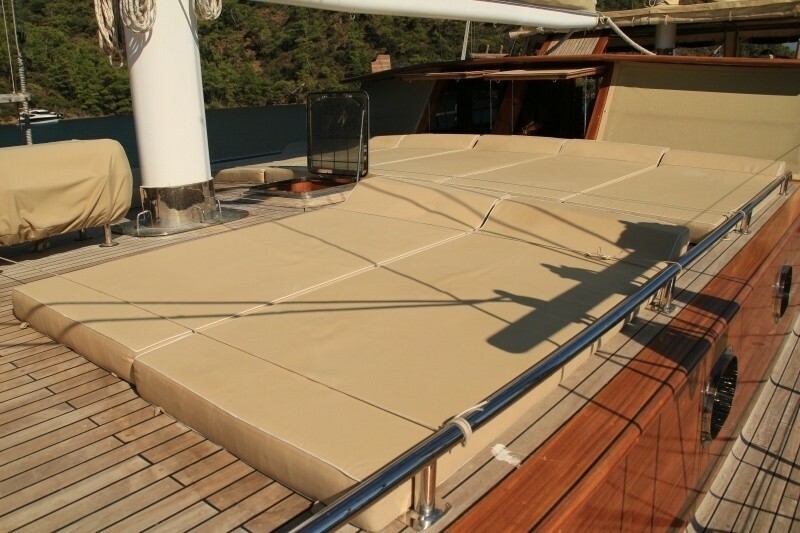 Wrap around decks make walking about the yacht is effortless. 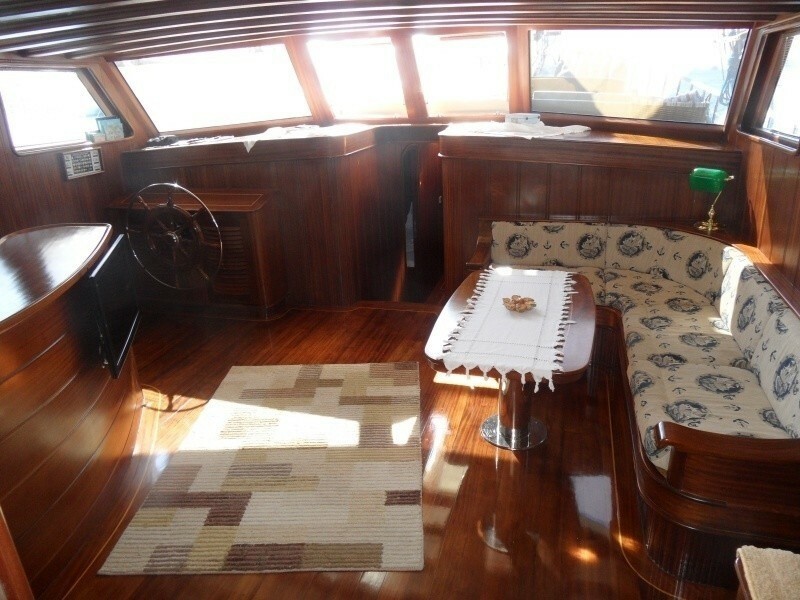 On the foredeck there is a further alfresco dining area ideal for a sunny lunch or that first morning coffee while watching the sunrise. 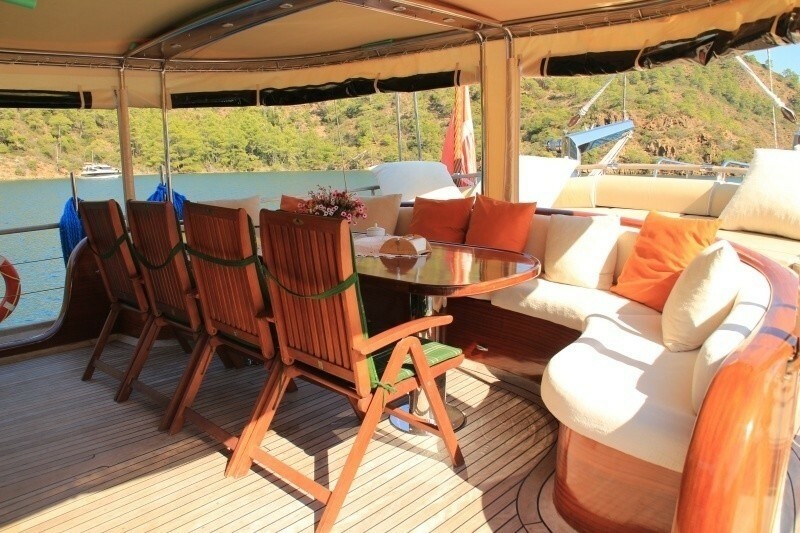 The raised deck house features ample sunpads and is the idyllic sunbathing and relaxing location. 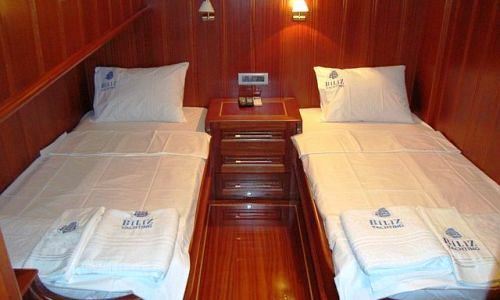 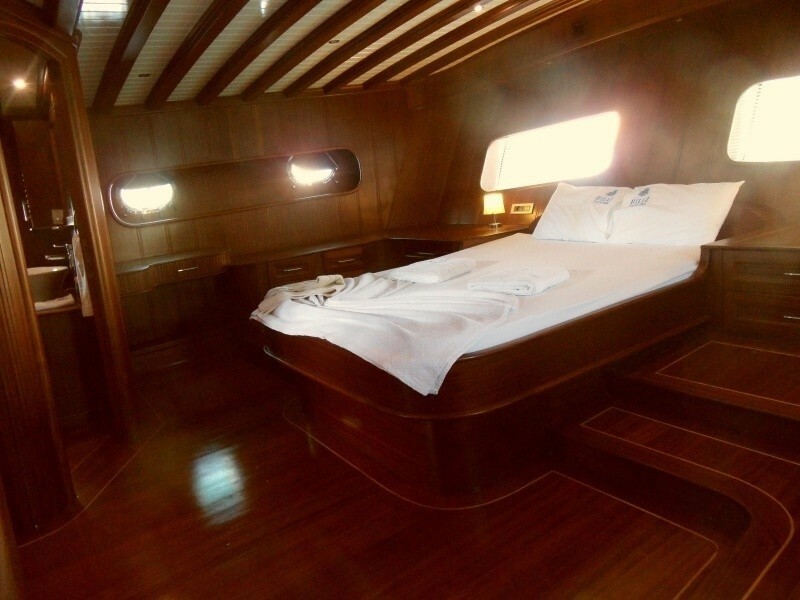 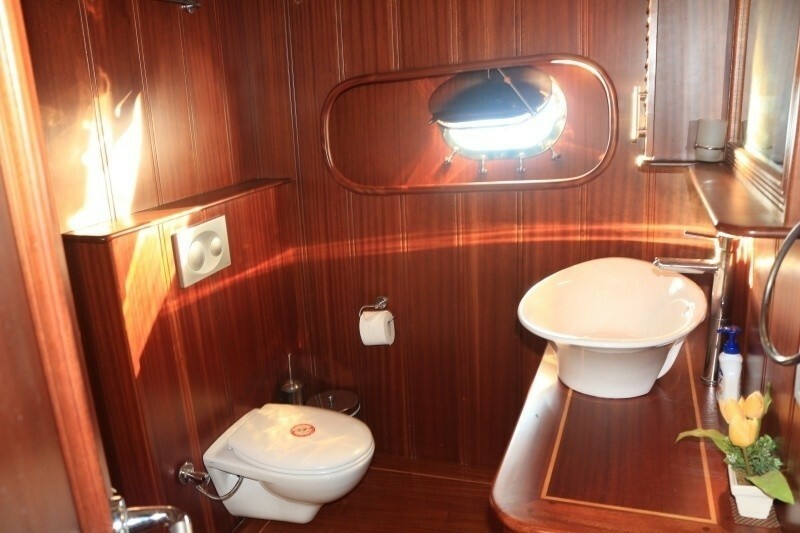 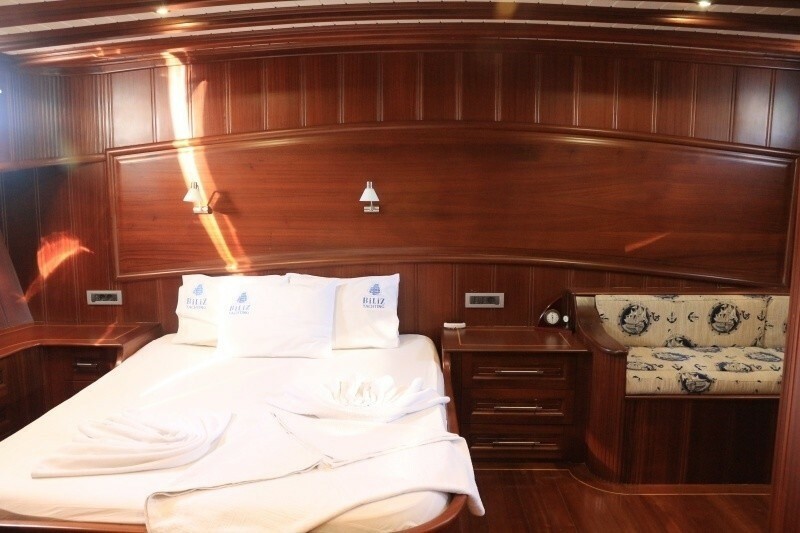 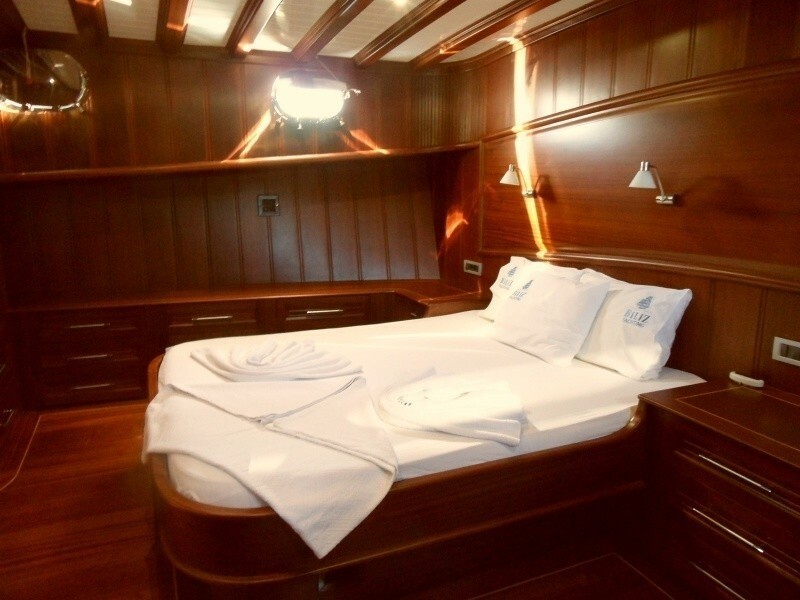 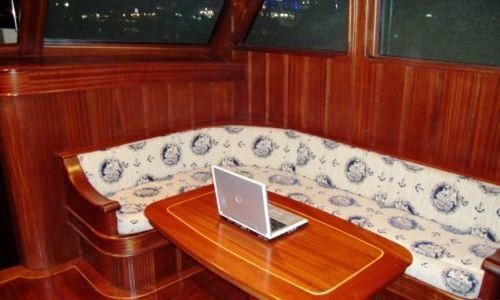 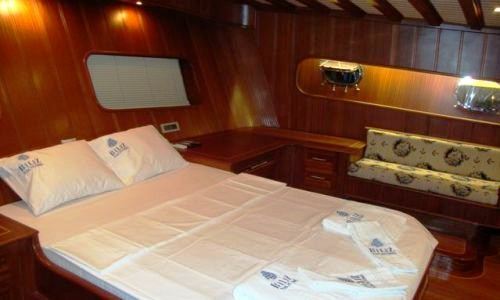 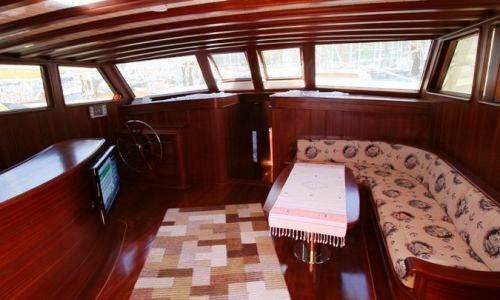 S/Y BILIZ can accommodate up to 8 guests in 4 fully air conditioned en-suite cabins. 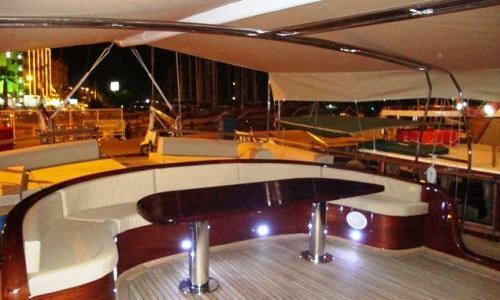 The yacht has a beam of 7m (23ft) and is powered by 1 x 375hp engine, capable of speeds of up to 10 knots. 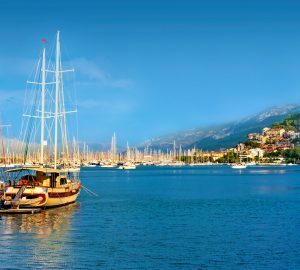 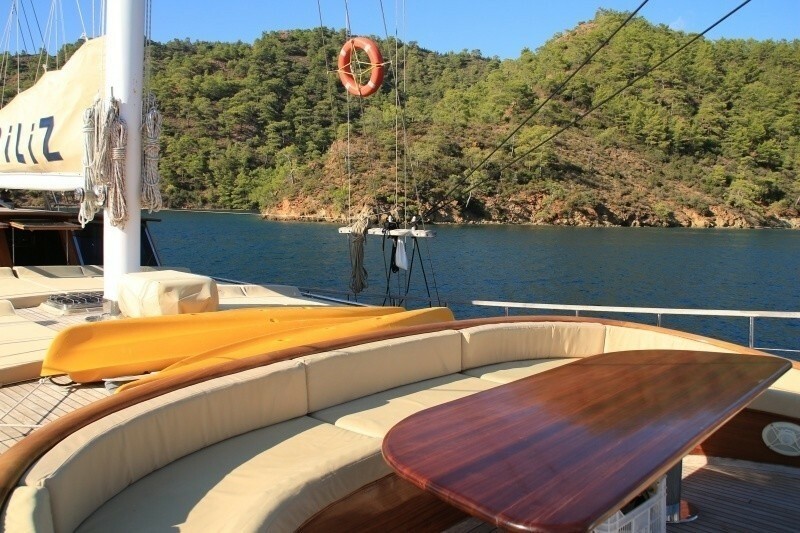 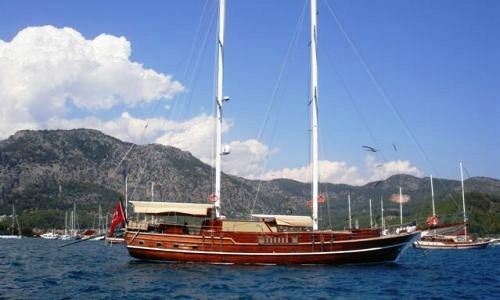 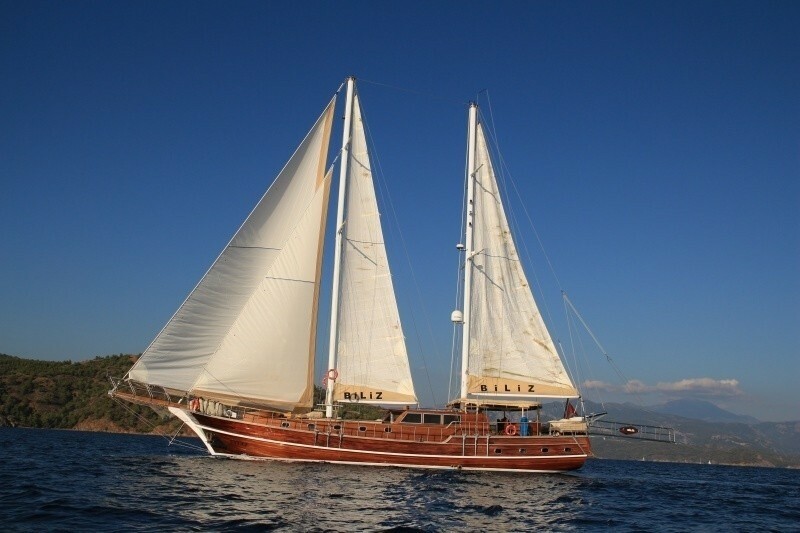 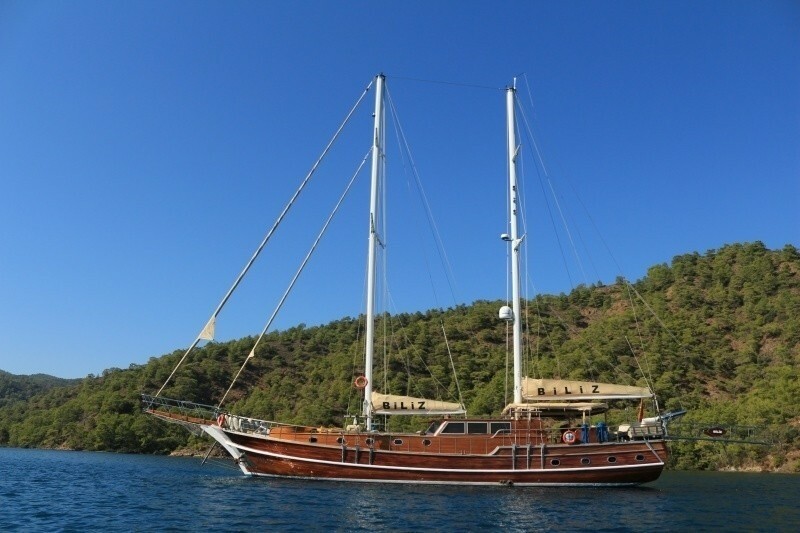 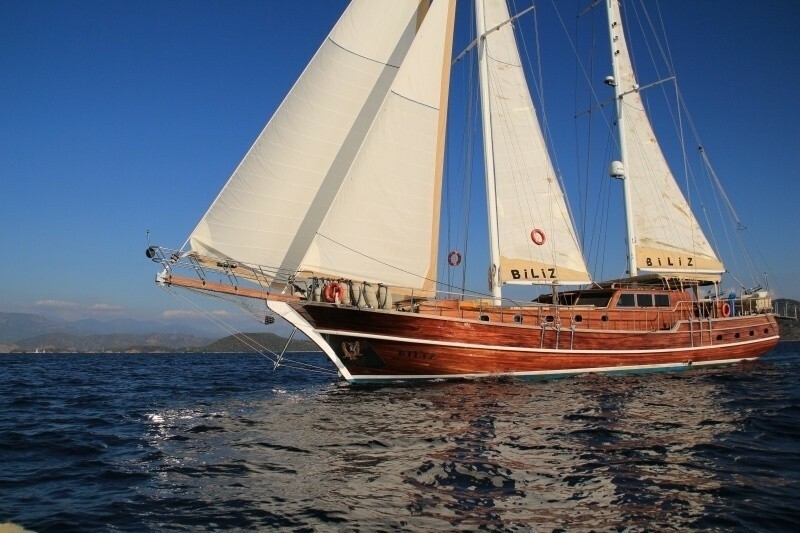 Gulet BILIZ offers 4 en-suite cabins for up to 8 guests. 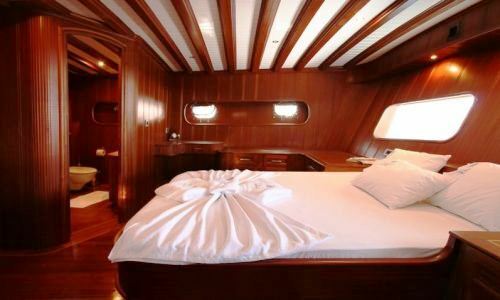 The master suite is aft and full beam of the yacht with a double bed, vanity and sofa. 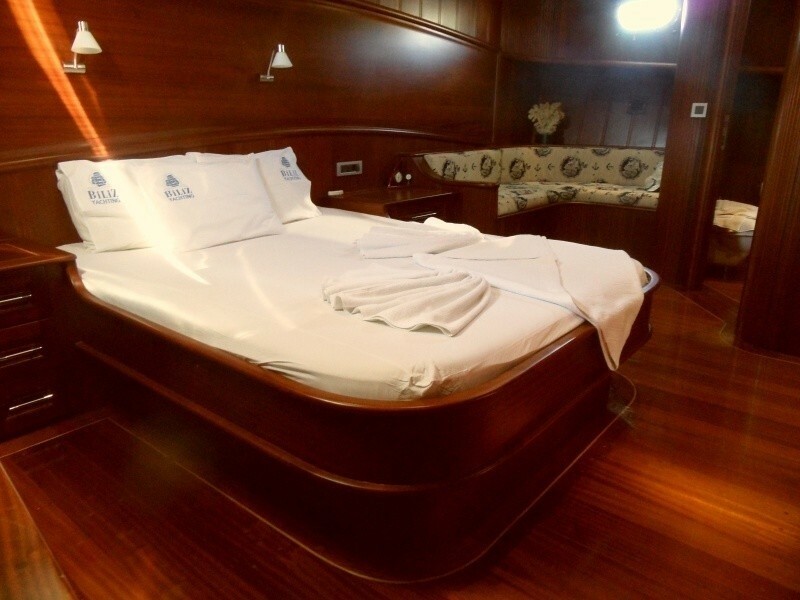 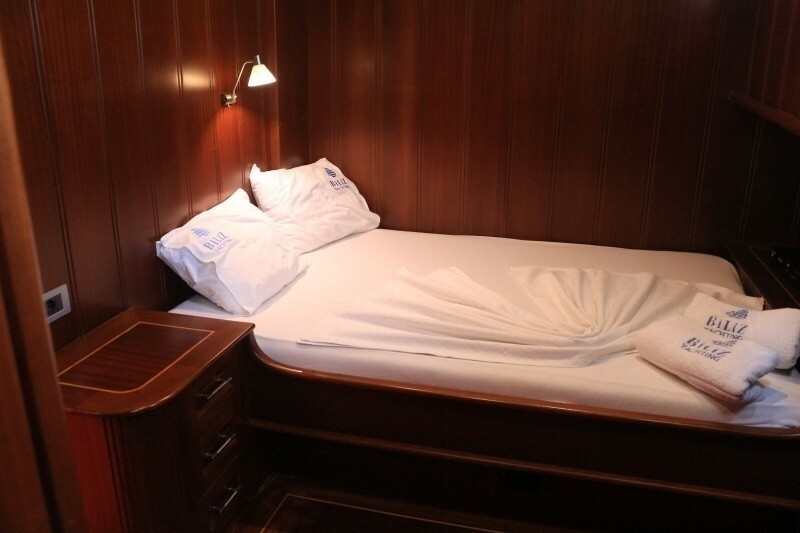 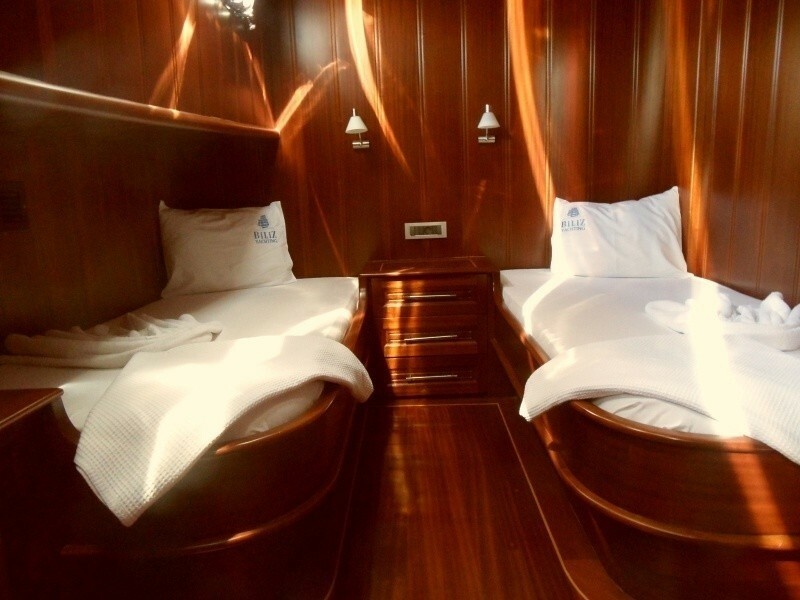 The VIP cabin is forward and full beam of the yacht with a double bed, a further 2 cabins offer a double bed and one has 2 single side by side beds. 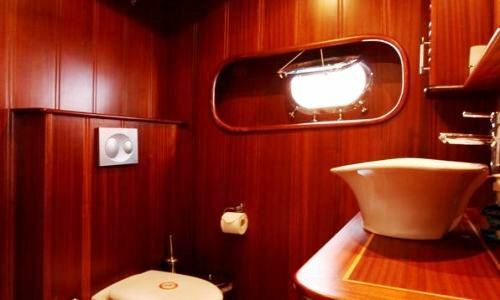 Each cabin offers optional air conditioning or natural breezes from the ports and hatches, TV entertainment and en-suite facilities with shower.